Yes, this was the wonder I had hinted of earlier, all thanks to my trip to Agra. 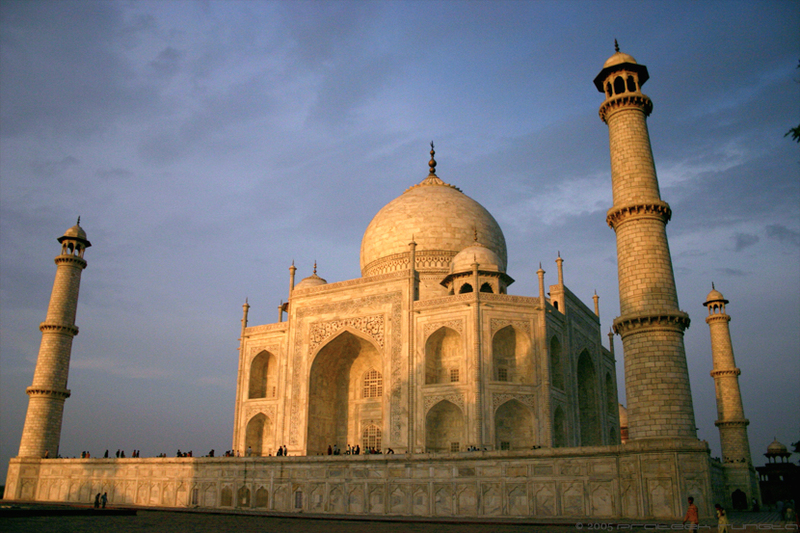 More photos and some history of the Taj Mahal will follow. hey! at last.. was wondering wat ur 'wonder' was about..but i think this pic is trully a wonder.i loved the sky..haha..i know weird, but its nice, n i think the fact with the sunlight falling half on the Taj n the other in the shade is beautiful..the Taj jus looks huge n magnificent! Lovely picture of the Taj. It's not as white as it once used to be, but Photoshop can mend that ;). Beutiful shot. I like the lighting here. Fabulous shot Prateek.. the Taj has several moods.. and it looks beautiful always.. quite a wonder!!!! You're welcome Rahul, and do keep visiting.